After some time without releasing some music, which seems to be a focus shift toward finishing his new project, Esohel drops a new single called "Highest Bid". This is a follow up from the song "Authentic", showing that he's made his return in full stride to bring us a the album "Dopamine". Today's release focus on how money driven our society and culture can be. The chase for the mighty dollar and fifteen minutes of fame has created an industry where everything and even anyone may have a price tag. 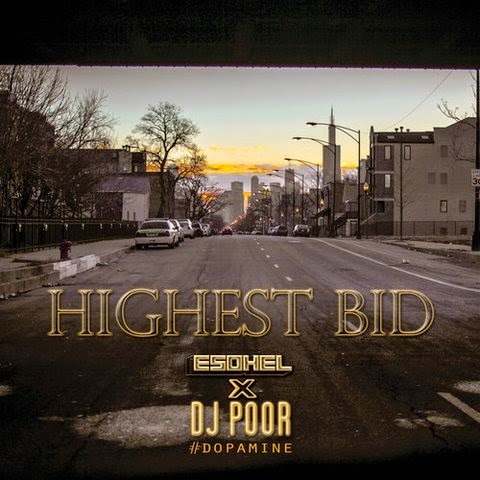 On the latest leak off Dopamine, Esohel sheds light on "Highest Bid" with DJ Poor providing the grimy and bass heavy production to suit.